Discover the perfect way to get organised in the office or at an exhibition, with the Maple Radial Desk. With a table top made in a maple effect, and silver coloured cantilever legs; it's clean, modern and sleek. There's the option to add additional extras, such as a Maple Desk High Pedestal or matching Maple Desk High Cupboard, depending on your needs. If it's sleek, stylish and clean you're after; then the White Rectangle Desk with Post Legs is .. 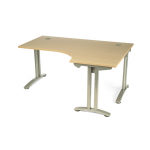 Hire the White Rectangle Desk with Cantilever Legs; perfect for offices and exhibitions. 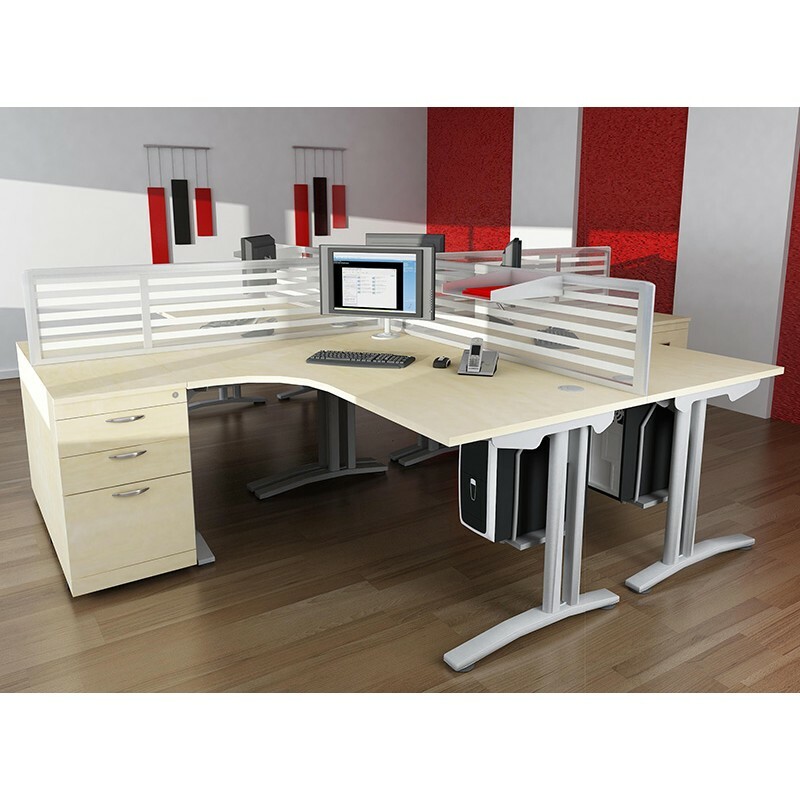 If you need..
Get organised, whether for your office or an exhibition, with this Maple Core Workstation. Beau..
Impress your clients with the Executive Return Desk in American Walnut. Finished in an American waln..